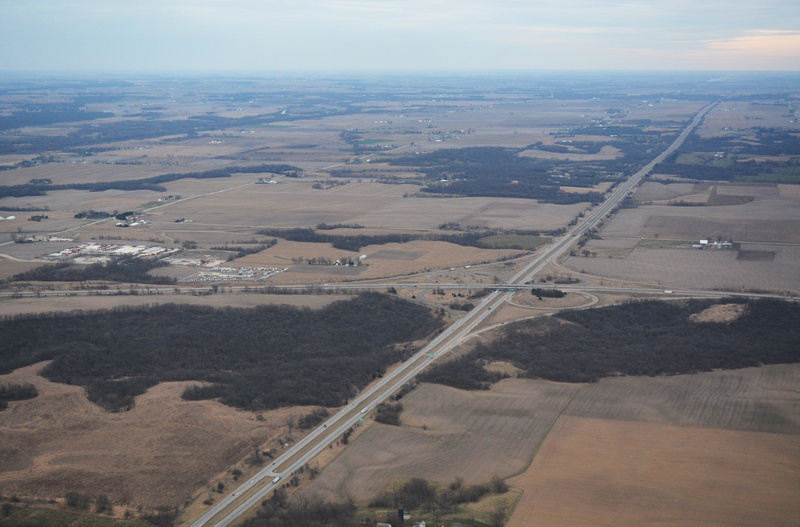 Eastward view of Interstates 74-280 at the Big X interchange with I-80 & IL 110 (CKC) outside Colona. Photo taken 03/11/17. 1st Avenue leads east from Milan to cross Mill Creek and become Airport Road ahead of the diamond interchange with Interstate 280. Airport Road replaced the former alignment of Illinois 92 east to Quad City International Airport (MLI). Photo taken 05/25/08. Interstate 280 loops south from Airport Road around central Milan to southwest Rock Island and western reaches of Davenport. Photo taken 05/25/08. Passing under I-280, motorists along Airport Road approach the eastbound on-ramp to Chicago and Downtown Moline. Airport Road provides the connection between the freeway and U.S. 67 in Milan. Photo taken 05/25/08. Interstate 280 and Airport Road parallel one another east to 27th Street (former U.S. 6 & 150) ahead of the cloverleaf interchange with Interstate 74 & U.S. 6. Photos taken 05/25/08. Highways of Davenport and Bettendorf (Jason Hancock).